They discover secret images of an extraterrestrial being on the dark Internet!! 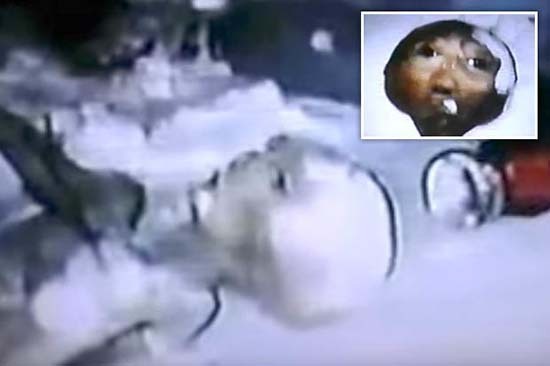 The images were recorded in 1992 and appear to show a real extraterrestrial being . The video has been discovered on the dark Internet by a man who has wanted to remain anonymous. It has been considered by experts on the subject as “hyperrealistic” and has caused all kinds of reactions among Internet users. In the video, it seems that the photographs show what looks like a discovery of an alien life form in a cold environment, which could perfectly well be Eiger, Switzerland. “It seems that someone made this video under pressure and in clandestine circumstances. Could this be a great discovery that was not made public? “ Said the anonymous user who discovered the video. It is not clear if it is part of some kind of secret scientific discovery or if it was done in cooperation with the government, and even that it could be some cinematic dish. Obviously, this material has been kept secret for a variety of different reasons. Supposedly, this video was first discovered by someone navigating through the dark Internet. The file that this anonymous person found, also contained references to EBE that means “extraterrestrial biological entity” . Also mentioned is “Eiger” , which could refer to the 3,970 m high mountain of the Bernese Alps of Switzerland, which is part of the Jungfrau-Aletsch-Bietschhorn complex declared a World Heritage Site by UNESCO in 2001. The quality of the images seems to be quite low, so it does not leave much space for Photoshop. However, the skeptics claim that the images are false due to the “plastic” texture of the extraterrestrial being , suggesting that it was created by a human. And, as if that were not enough, Scott Brando, editor of the well-known disinformation web portal “UFO of Interest” , explained that the video appeared for the first time on YouTube published by the channel “Etrangesvideos”in September 2008. At that time it was said that the discovery was made in Quebec, Canada. However, shortly after it was known that they were only images of an exhibition of an alien corpse in a museum. Brando exposed the repetition of the deception on Twitter and accused the YouTubers of “re-sharing an old montage”.